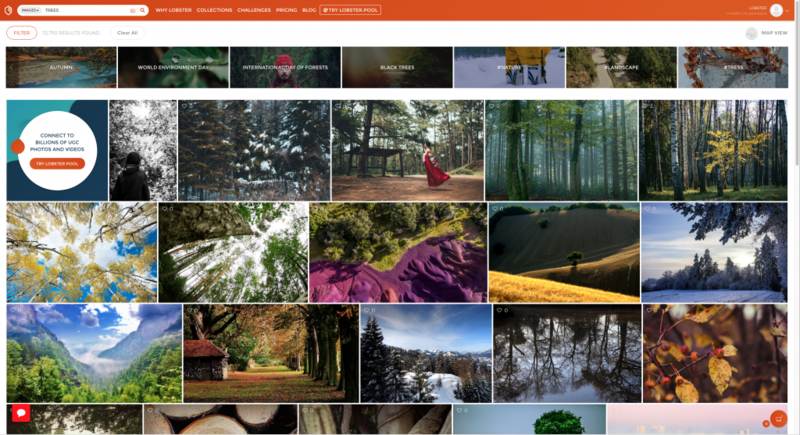 With so many images added to Lobster every day, it is an incredible resource when you are looking to explore different styles and techniques. To collect a group of images to use later as a resource for your photography, why not create a lightbox! Lightboxes are private collections of images and videos that can be added to, edited, or shared anytime. To create something new click on “Lightboxes” – a menu will appear with a box for ‘Lightbox Name” and a plus symbol. Type the name you would like to give your lightbox and then click the plus symbol and your lightbox will be created! How do I add content to my lightbox? Easy – search whatever images you would like to add. Once I’ve added it to the lightbox, the name of the lightbox has turned to a darker colour to let me know the image has been added. I can view this lightbox anytime by heading to “Lightboxes” in my profile drop-down menu. Sharing lightboxes is a great way to share ideas when working on a project or collaboration, or just to show everyone what style you are enjoying at the moment or a technique you wish to try. Once the link is generated you can share the lightbox with anyone! Ask us here or join our Lobster Community on Facebook to start a discussion or ask other contributors for advice on different techniques.